BOOM is a gorgeous, new Lagoon 560- sailing out of Athens, she’s ready to take your group on an incredible adventure. With a spacious, open lay-out, there’s plenty of room for a large family or group of friends. Relax on many of the deck areas- or take advantage of the many water toys aboard. Water ski, wakeboard, tube for higher adrenaline sports…or take out the SUP’s or kayaks to do a bit of exploring. There’s also a SeaBob, snorkel and fishing gear! The experienced crew of 3 led by Captain Nikitas will show you the beauty of the Greek isles while spoiling you onboard. Now is the perfect time to hop aboard BOOM and head out on a brilliant adventure! 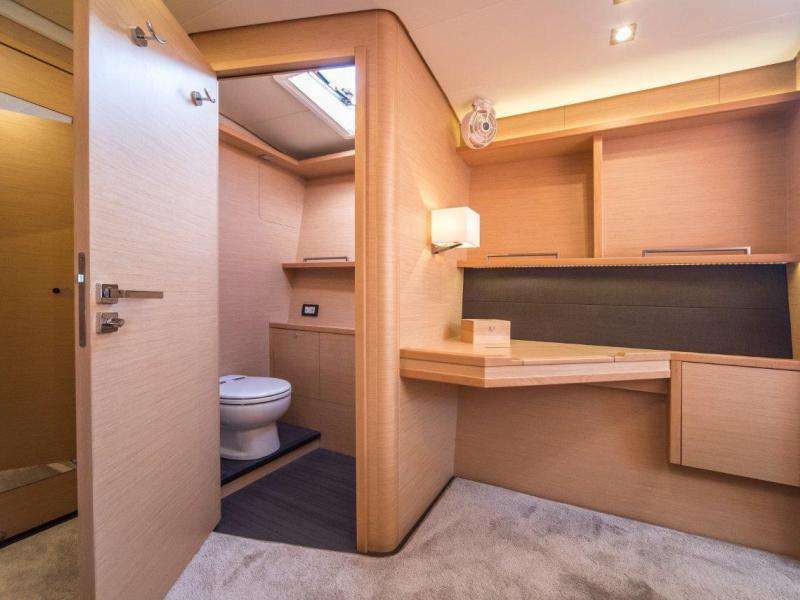 4 queen cabins with en-suite bathrooms, dry stall showers, and electric toilets. I twin bunk cabin with en-suite bathroom.